Ride with our fully licensed and insured professional drivers for every arrival and departure of your journey. Make the every of your transfer journey memorable with us. With all the interior comfort and sleek design of our vehicles combined with our service exclusives, you’ll enjoy a seamless journey. Get rid of the rushed and fraught journey as flex Taxis is always available with chauffeur driven service for any last-minute, inevitable changes. Currently, there are several fragmented mini cabs operators in Hertfordshire and Essex. They are restricted to work in their respective local authority areas. Flex Taxis will reduce this fragmentation by providing taxi service across Hertfordshire and Essex. Flex Taxis use provides only public hire (Hackney carriage) service which can pick up passengers on the street and anywhere in Hertfordshire and Essex. That’s why it is called Flex Taxis. Whatever your transport needs Flex Taxis can provide you with a cheaper, professional and friendly service. Our aim is to provide the most reliable taxi service within Hertfordshire and Essex. We operate 7 days a week and are always available for local and long distance journeys, as well as airport transfers and links to railway stations, seaports and other places of interest. Whether you're looking for single journey, regular runs or on-demand contracts, contact Flex Taxis. Get in touch with us today to find out more about our reliable transport and how we can help you with a wide range of travel needs. Our taxi range covers a variety of vehicles to meet your specific requirements. In addition to meeting all your day to day taxi needs, we also offer executive hire and taxis for special events such as weddings. Flex Taxis operates with a large fleet of vehicles suitable for your needs, whether you are a tourist, family, individual, business visitor or traveler. The fleet includes the most spacious family cars popularly known as MPV's. We have a large fleet of vehicles comprised of uniquely elegant, extra-roomy minicabs with the nicest executive saloons, MPV, 8 and 9 seater mini-busses, VIP Mercedes cars, VW Caravels, Saloons, Estates and many more vehicle types. Very family friendly, we provide toddler and child seats for children up to six years old. All our taxis are fully licensed and safe for your journeys. If you ever suspect this not to be the case, please report the matter to us at info@flextaxis.com and we will liaise with the relevant licensing authority. Because, without our customers, we have no business at all. What we are today is because of our customers. To share this proud journey we provide the every year discount offer. Do not miss your chance to grad amazing transfer deals. Why use our Taxi service? Our priority is to provide customers with a reliable, safe, prompt, friendly and courteous taxi service at all times as well as value for money. We reach and are found everywhere in Hertfordshire and Essex. 24 hour a day, 7 days a week (including Christmas). Advanced booking, phone or online. Fixed prices and no hidden charges. Flight Delays - No Extra Charge. We respect your privacy. This is why our online booking system is fully secure. Online booking and payment facilities are simple and user-friendly. For your credit card payment, you can pay through our secured system or call us and we will be able to take credit and debit card payment. You can also pay cash directly to the driver. We offer both national and international booking. Bookings can be made by phone, website, or e-mail. You can get a free quote without registering. View our all rates, package deals and last minute offers at a glance. Our user-friendly and easy fare calculator is easy to use and absolutely free. Search with any address, hotel, airport, city and much more. Our flexible tariff, our drivers can be hired by the journey, by the hour or by the day. Our taxi fare calculator works by simply entering start and ride destination in the pickup and drop off the field. 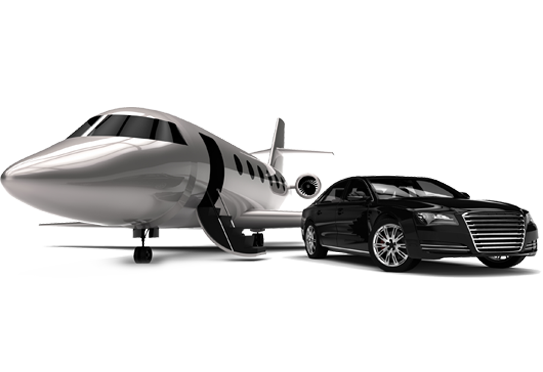 Estimate taxi fares from/to the airport, station, seaport, hotels, bars, monuments or anywhere in the UK. You will get the immediate quote details. Choose the vehicle and enter the details. You can choose any payment method and confirm your booking. Payment is easy and secure as we accept both cash and credit card with a money back guarantee. Contact us today or use our online pre-booking form to secure your transportation today.